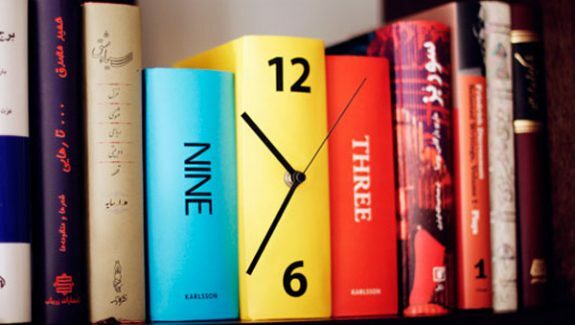 Aspiring writers and avid readers alike are sure to admire this inspiring selection of three writer’s home designs. 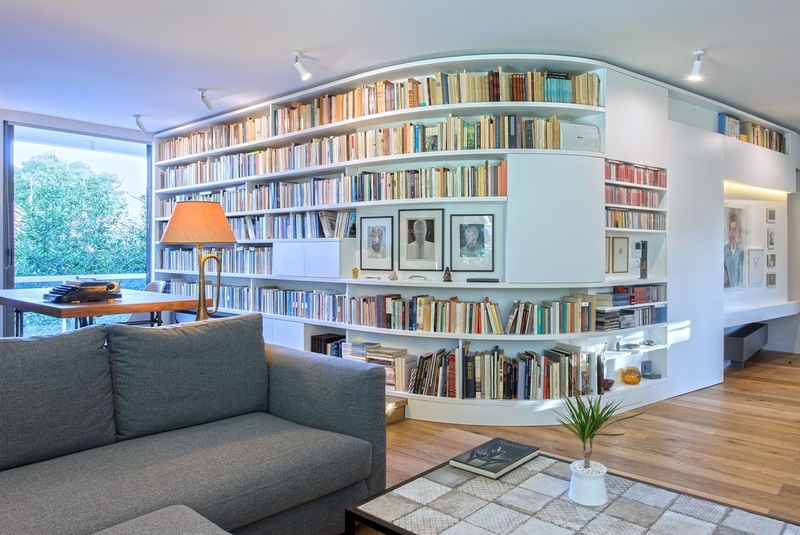 These amazing places are absolutely stacked to the rafters with towering bookcases, bespoke bookshelves and expansive home library setups that could make just about anyone yearn to write - or turn - those pages. 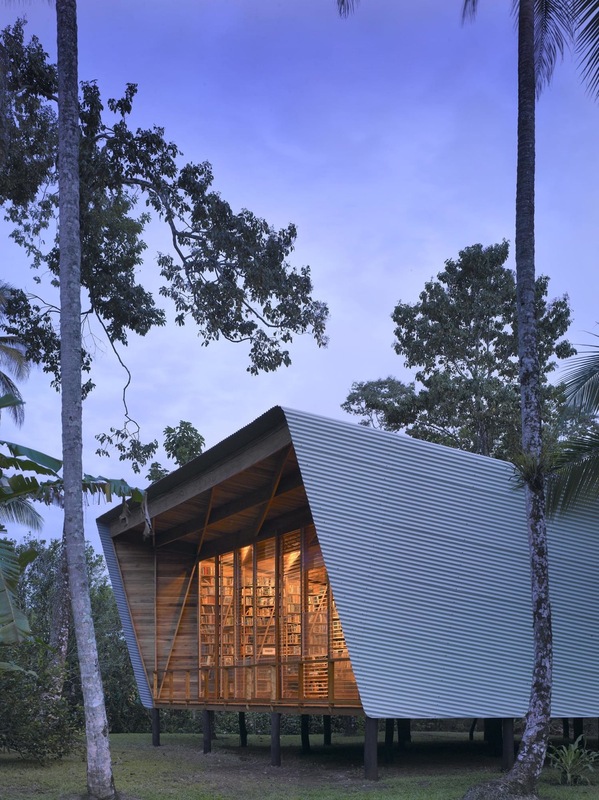 Peruse the stacks of a contemporary retreat along the hot Caribbean coast of Costa Rica; find a secret door hidden among the tomes and artwork in a modernised open plan apartment in Athens; escape to another world in the pages of one of the hundreds of books stored throughout a unique space located in the Ukraine. 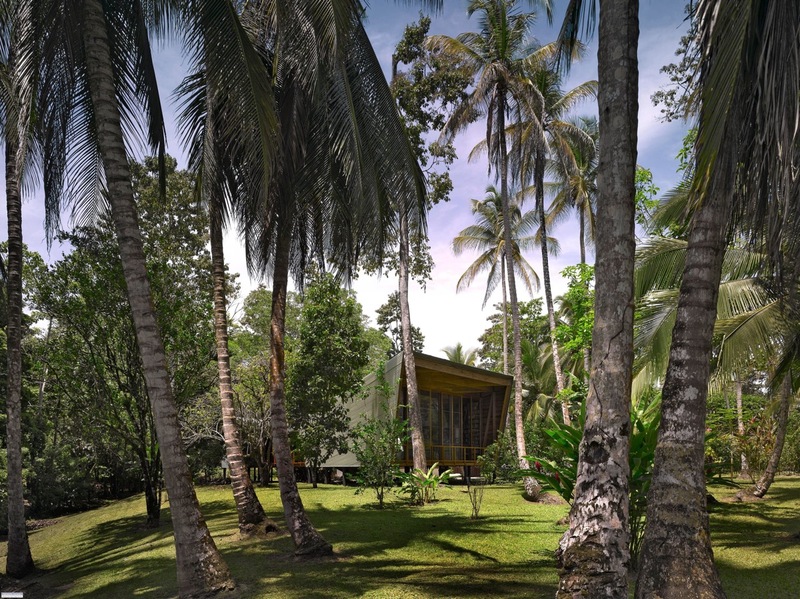 ‘Casa Kiké’ was designed as a retreat for a writer on the Caribbean coast of Costa Rica. 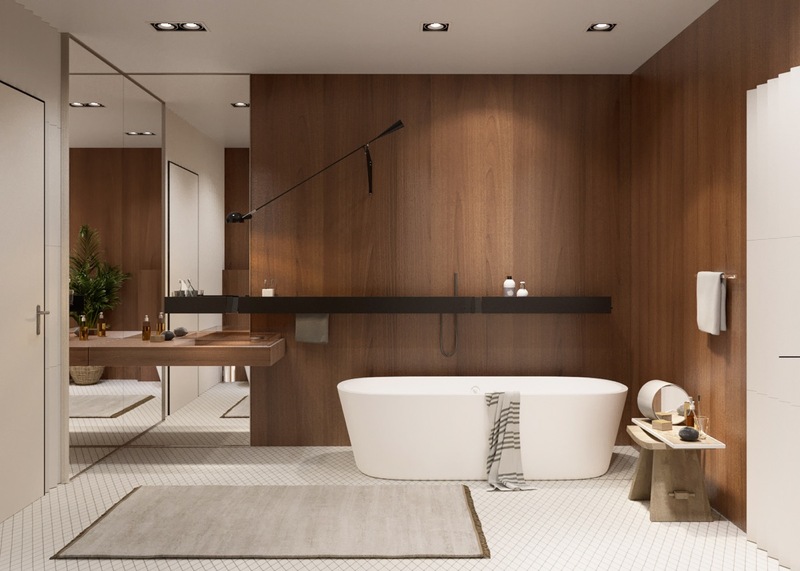 The brief called for a contemporary interior with clean modern lines with a sensitivity for local tradition and building materials. 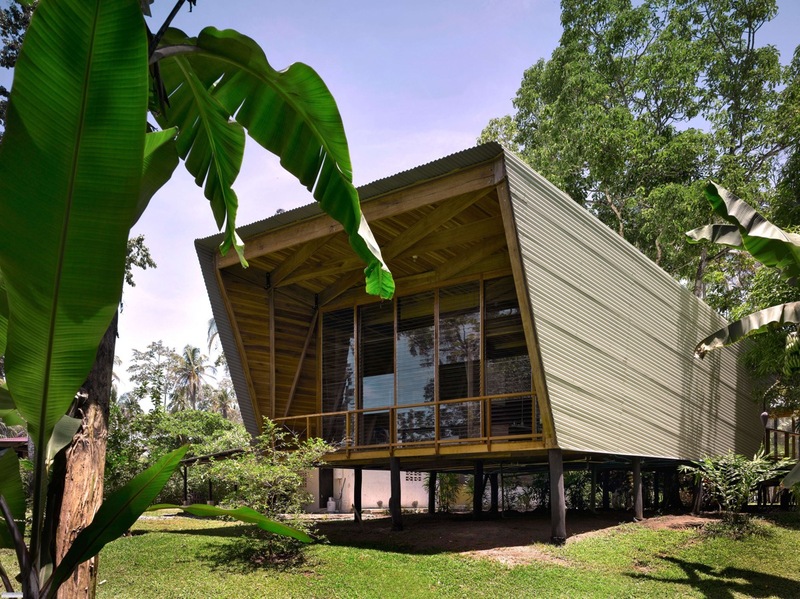 Corrugated sheets of steel clad the outside of the building, just like many other rural Costa Rican dwellings. 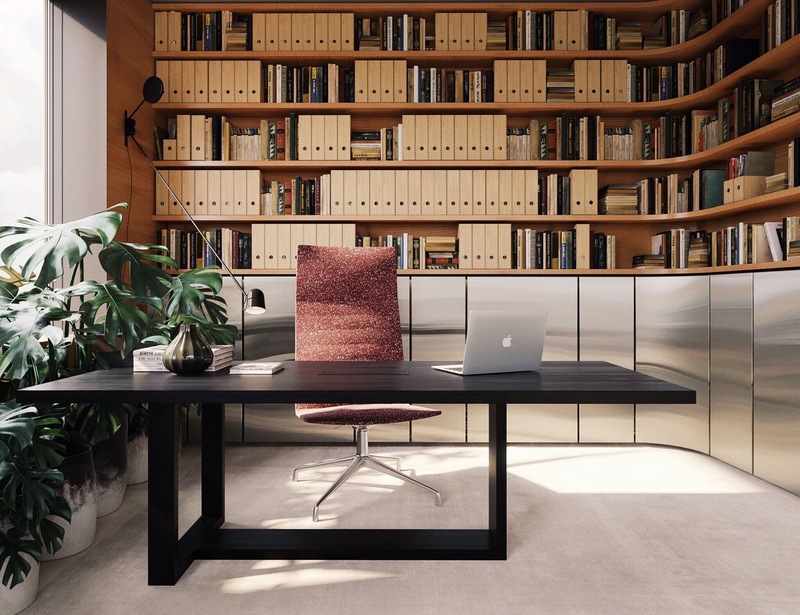 In front of the book stacks sits a writer’s desk equipped with a designer table lamp and an ergonomic leather desk chair. A book-lined hallway stores more of the 17,000 tomes present in the home. 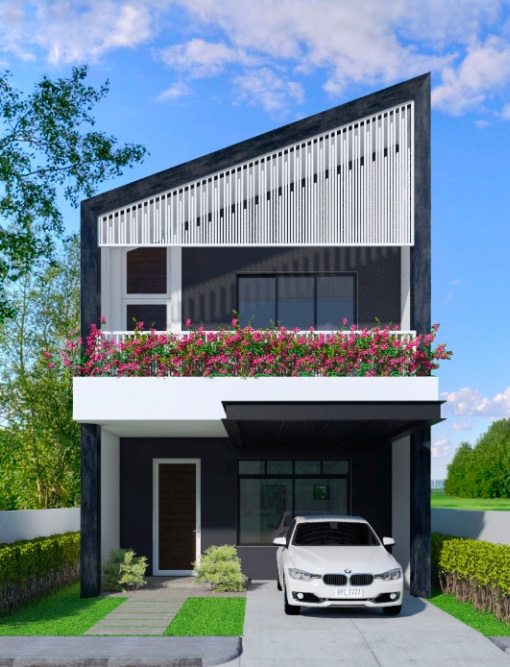 Multiple rows of louvered slats across the facade are a common and inexpensive part of local architecture. 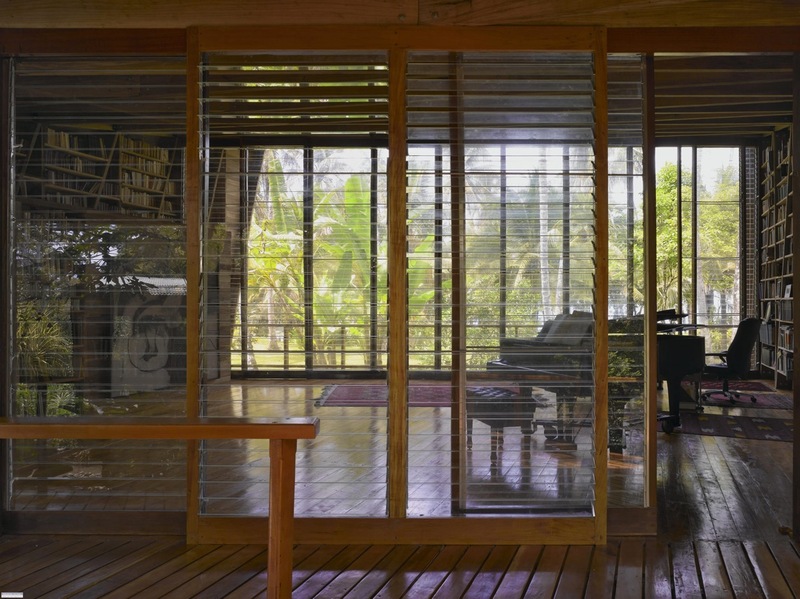 Slats can be opened on each end of the building to allow a sea breeze to flow right through. 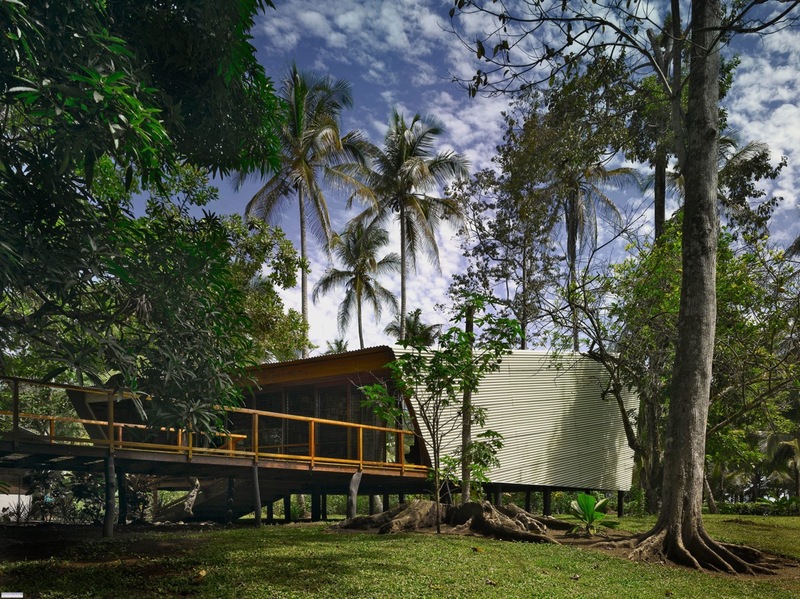 The build is a twin-volume structure with one larger pavilion for daytime use and a smaller one for nighttime. 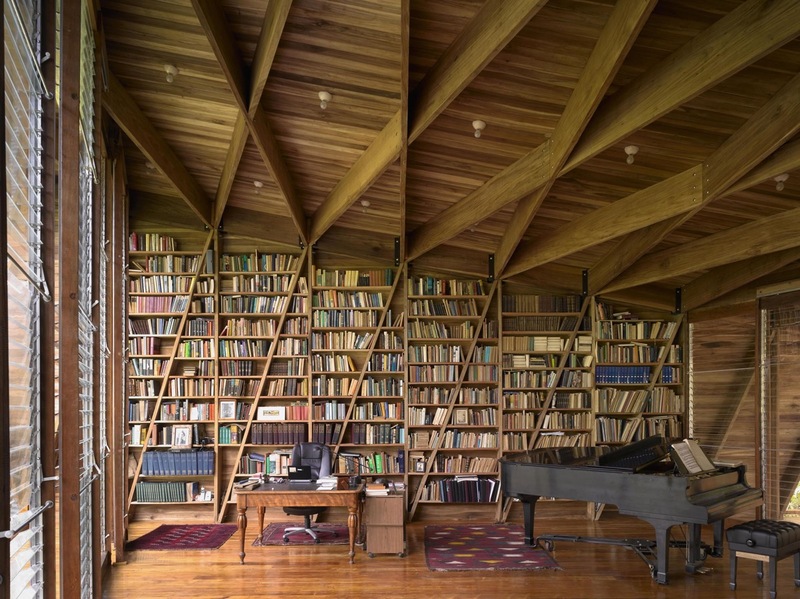 A grand piano stands in within the larger volume that is used for work and contemplation. 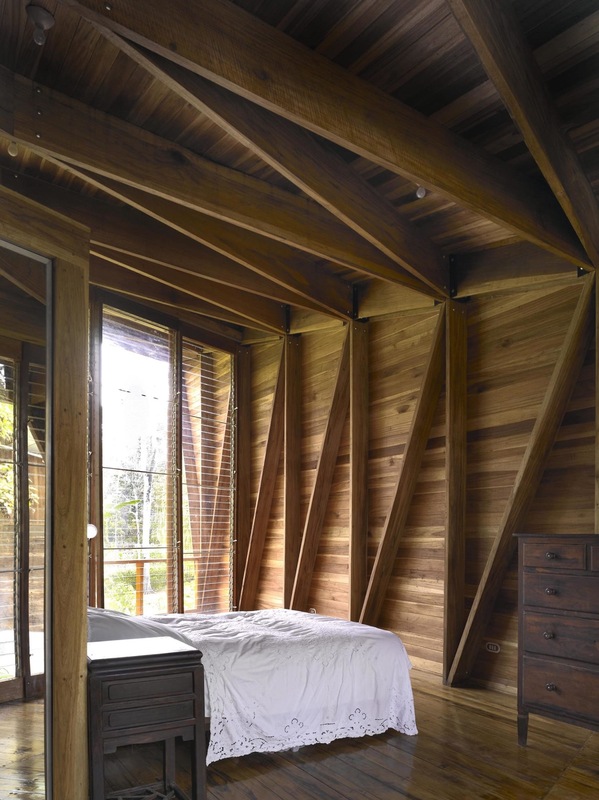 The smaller pavilion, at two thirds the size, holds a bedroom and bathroom. It’s facade faces towards the jungle that backs the beach front. 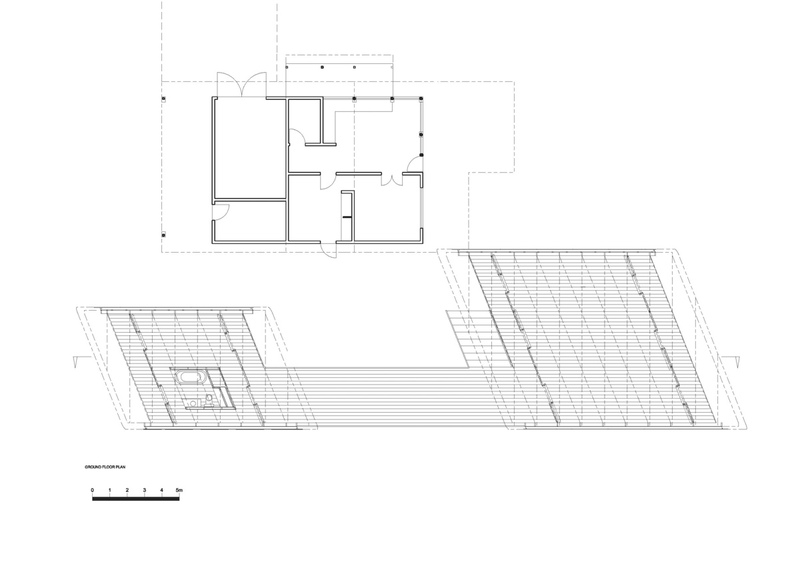 A parallelogram shape of the pavillions promotes ventilation and keeps the glare of low sunlight out. 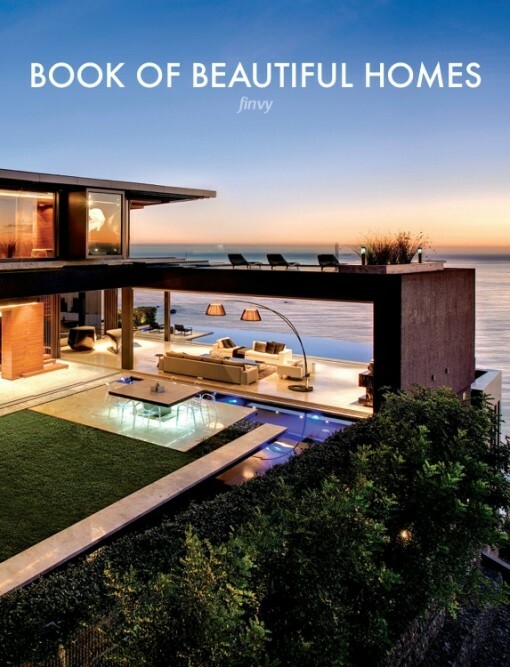 It also screens the interiors from neighbouring properties and offers the best views. 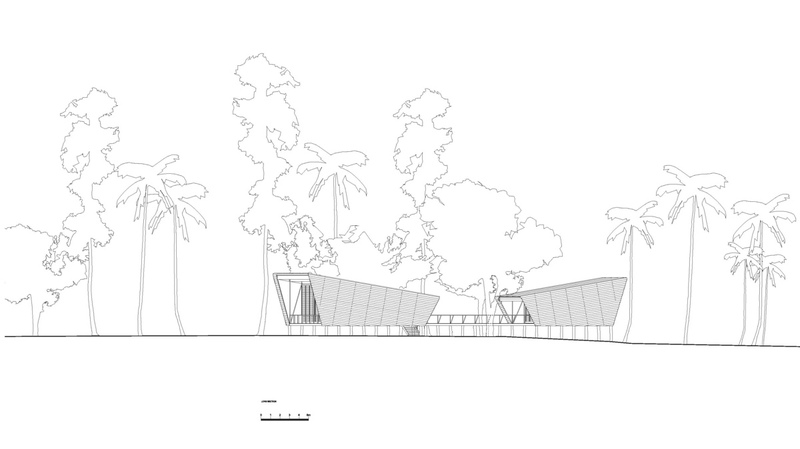 The pavilions look like two bookends, shelved at either end of a wooden walkway that runs between them. 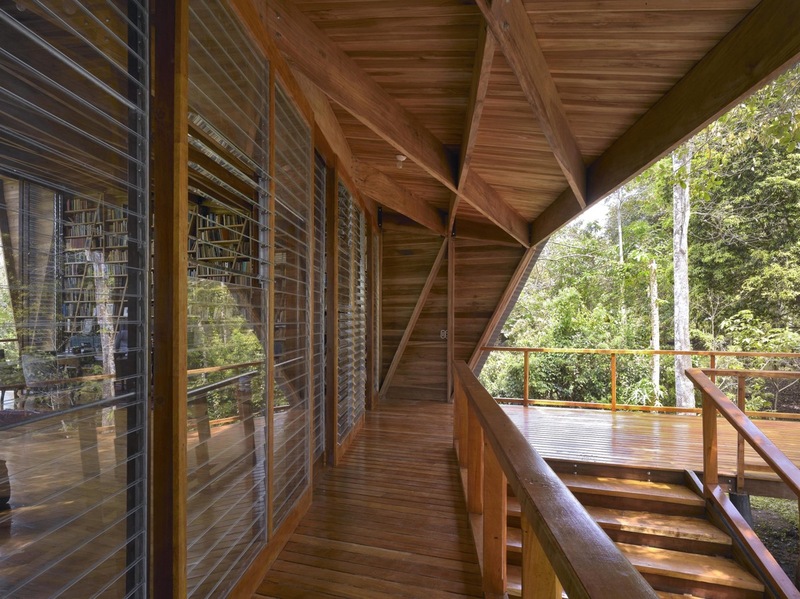 The home is perched on wooden stilts that raises it 1.2 metres above ground level. 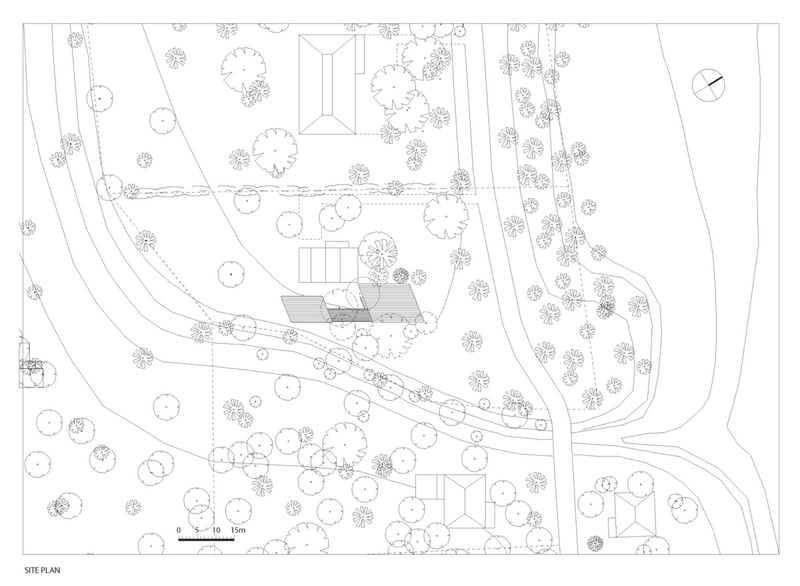 An outdoor living space is created in a landscaped garden that includes a small pool and over 200 plants. 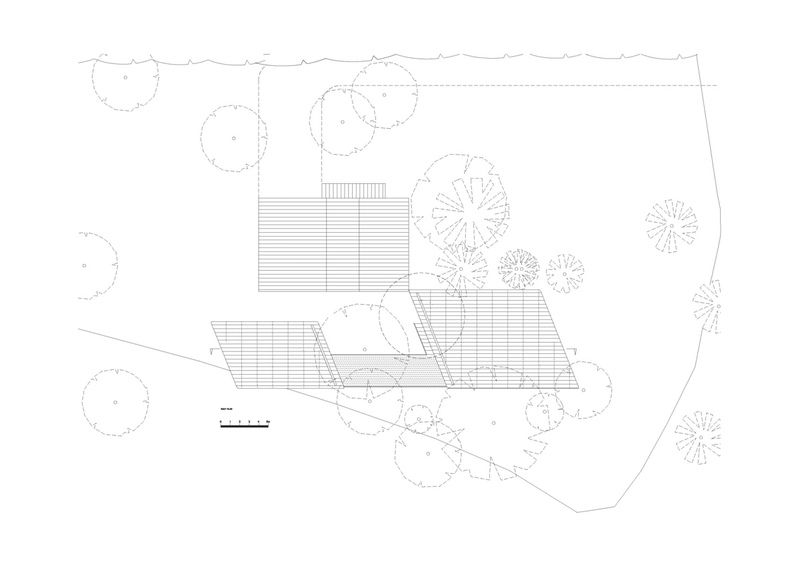 The two buildings are set far enough apart so that the smaller volume will benefit from the same amount of cool ocean breeze as the main building does, with the long walkway moving it out of the larger buildings ‘wind-shadow’. 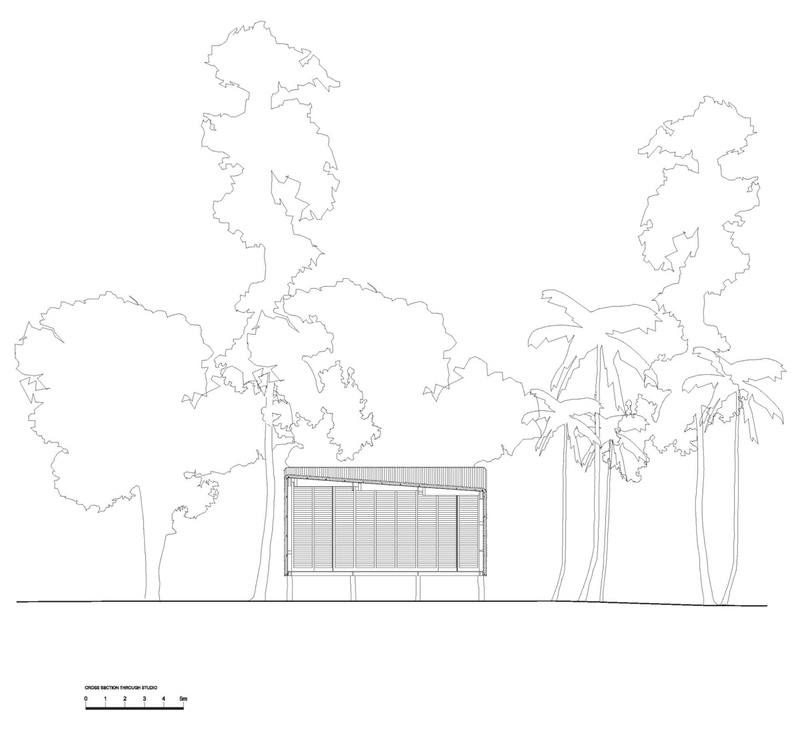 The writer insisted that no trees be felled in the grounds of the existing one-storey typical Cahuita house. The older house still stands in the grounds and is utilised as a guest house as well as being the main kitchen. 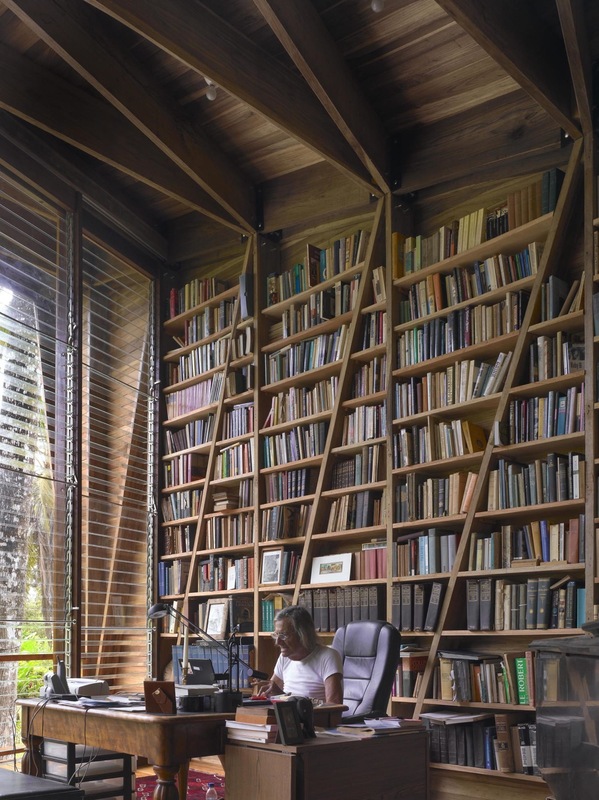 The new artist’s retreat is the writer’s main residence. 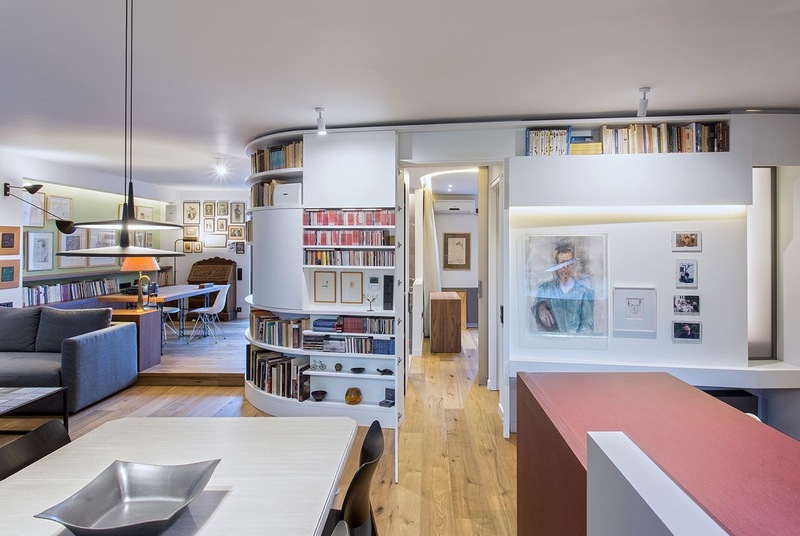 A 90 square metre apartment was redesigned to fulfill the needs of a writer: “A place to write, a place to sleep, a lot of room for paintings and mainly libraries because I have too many books…” The designers created a bespoke sweeping curved bookcase as the home’s main structural element. 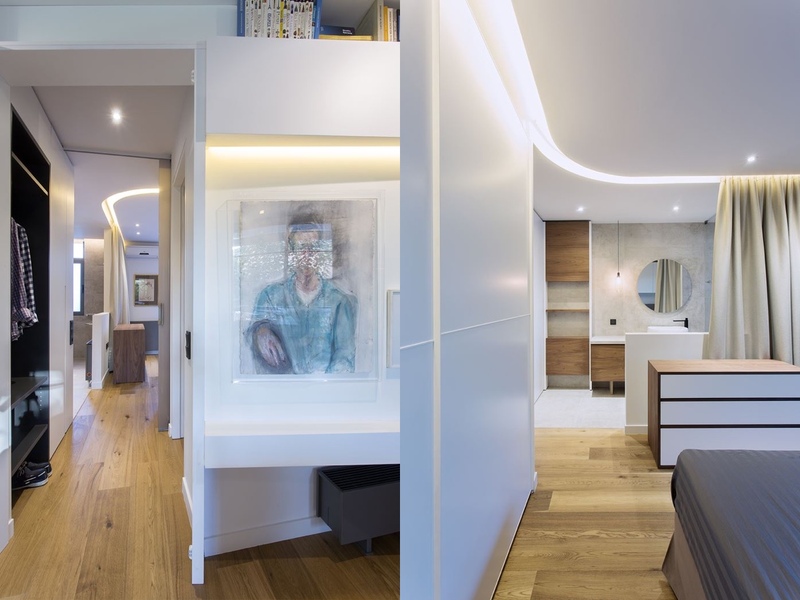 Thanks to the large openings and lack of beams in original layout of the building in Athens, designed by Ioannis Vikelas, an open plan concept could be realised. 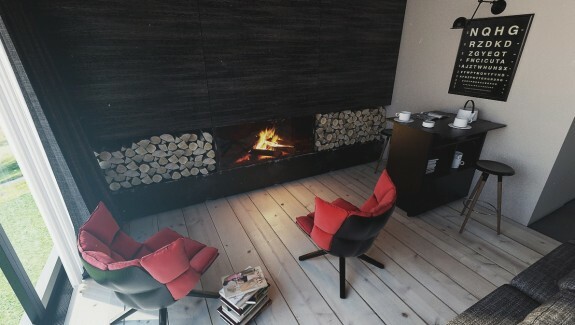 The lounge sits opposite the fireplace with a neat kitchen diner to one side. 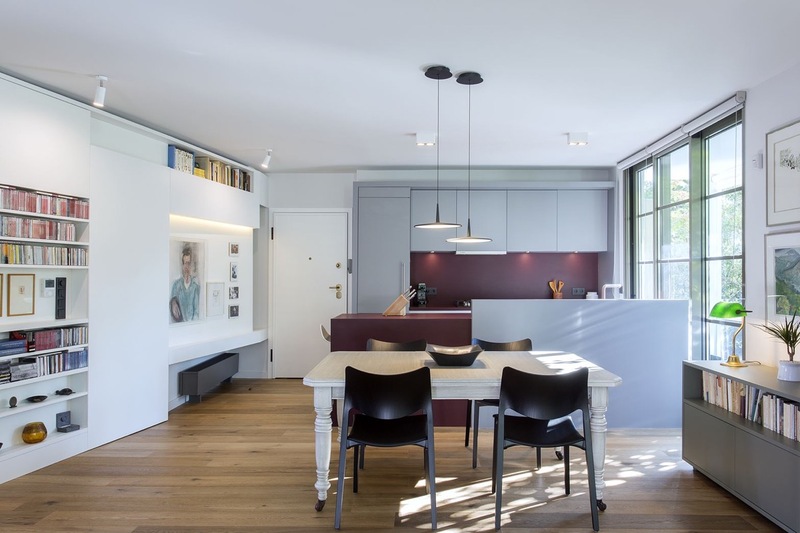 The window in the kitchen area was widened to increase natural light and an enhanced view of surrounding trees. 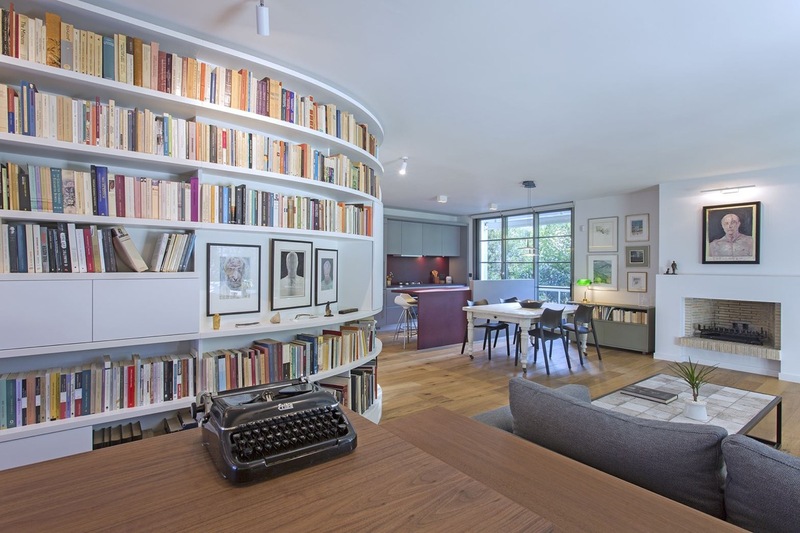 The two bedroom home contains furniture that is both a curation of favourite pieces belonging to the writer, and a series of new additions. 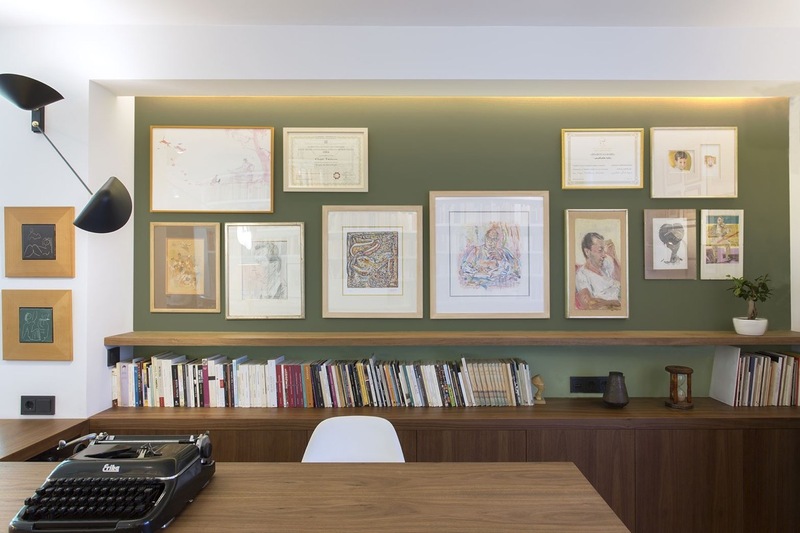 This study area has a bespoke desk with matching built-in cabinets and shelves. 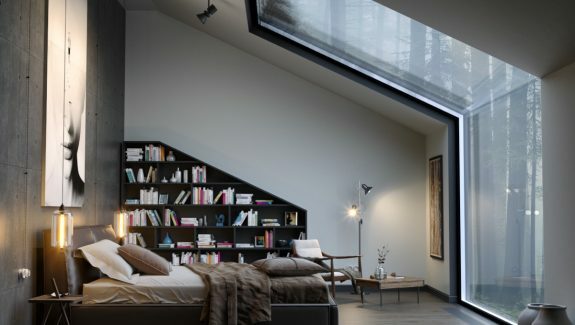 The library separates the living spaces from the master bedroom. 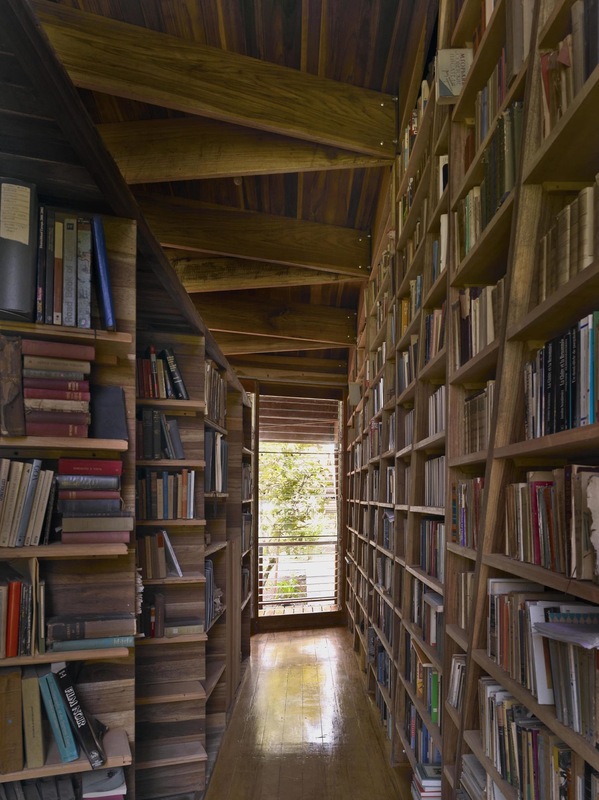 The door to the bedroom is hidden amongst the shelves, picture gallery nooks and cabinets of the feature bookcase. The dining area is comprised of a traditional white painted table and black modern dining chairs. 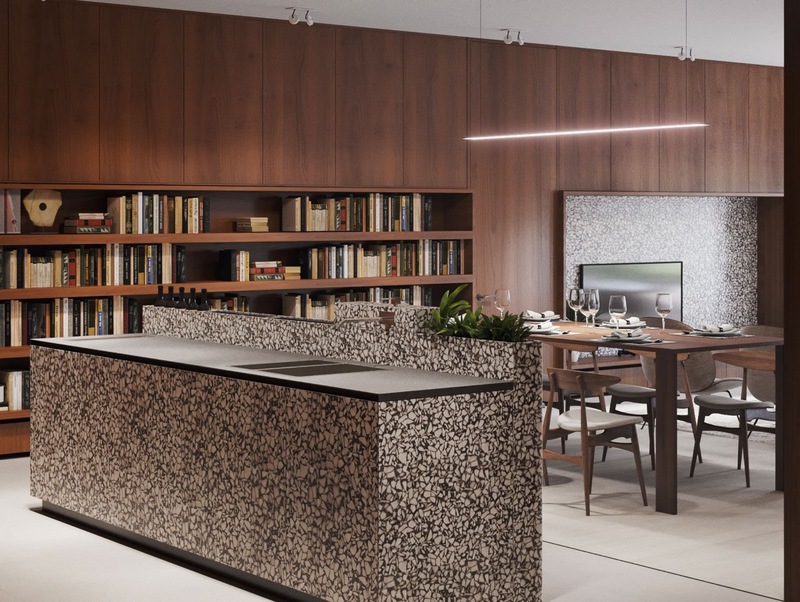 Slimline dining pendant lights hang low over the tabletop. 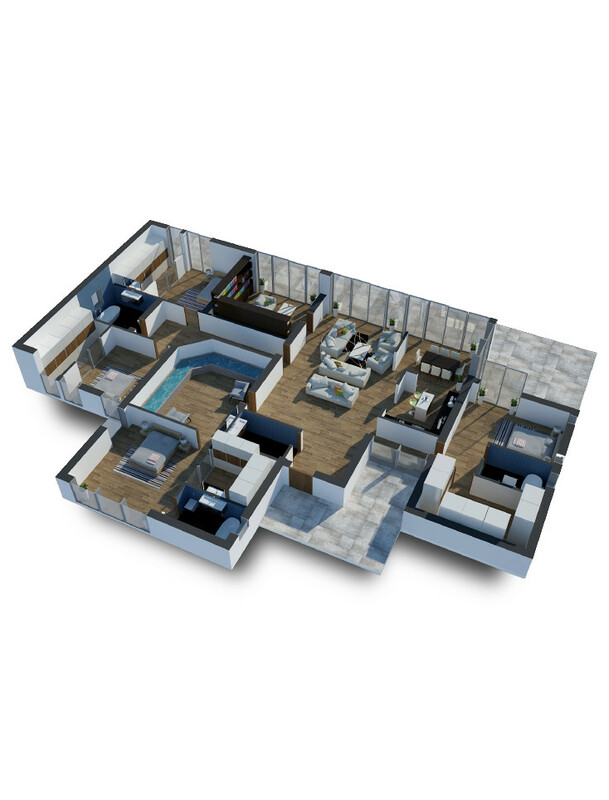 An open plan bathroom visually increases the space in the bedroom. A separate WC was implemented to accommodate visitors. 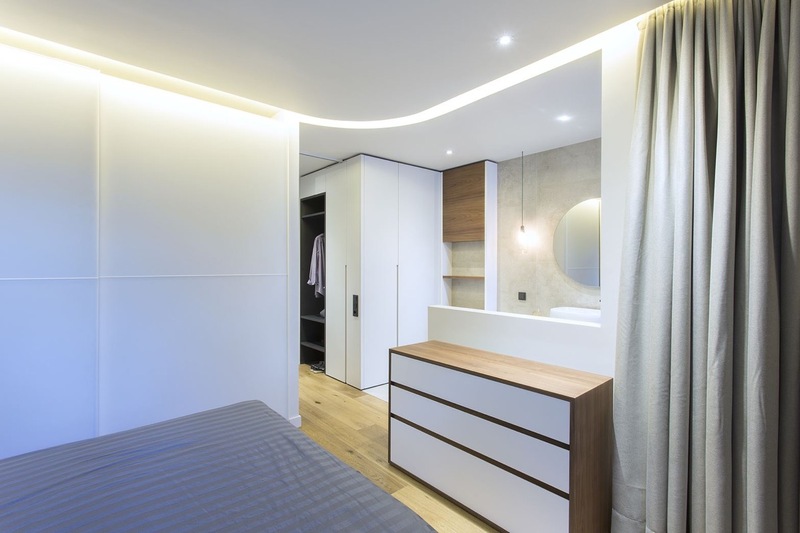 Recessed lighting brightens the bedrooms edge to edge. Our last apartment is home to a writer in the Ukraine. 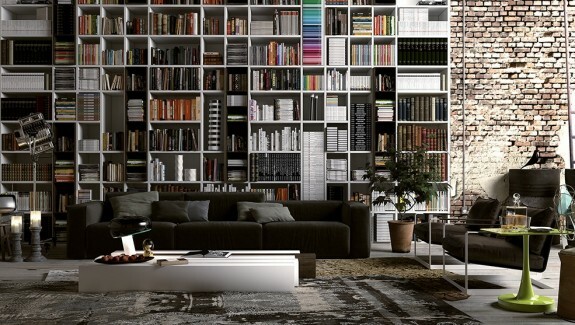 If you’re feeling inspired by this book stacked lounge, then be sure to check out our other living rooms for book lovers. 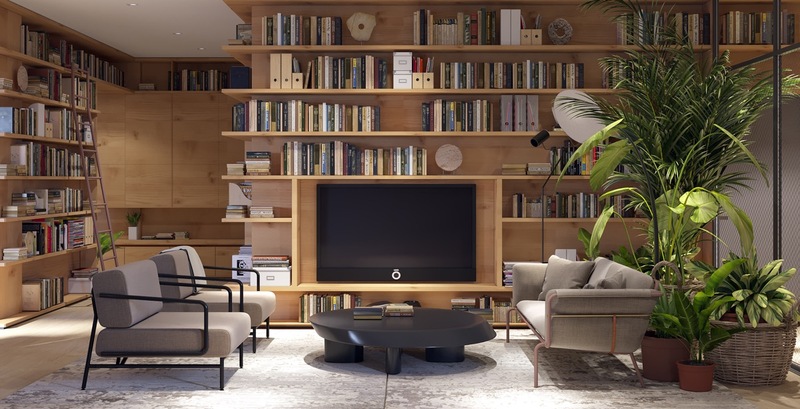 A swing arm wall lamp lights a reading couch in the living room. 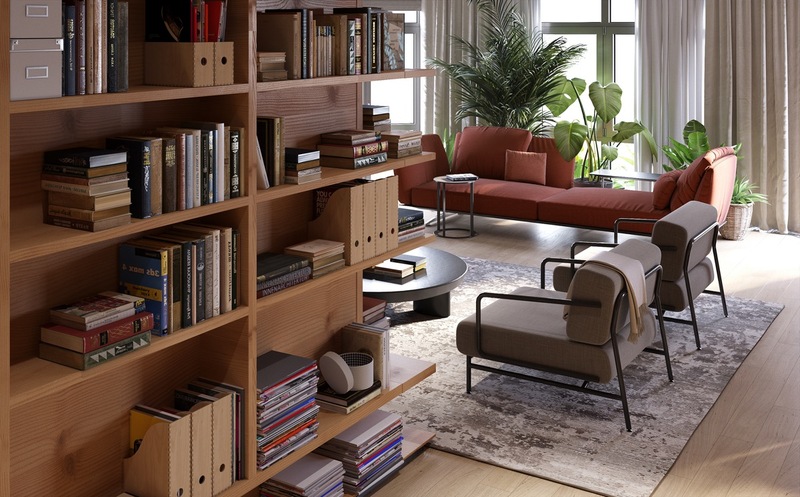 A modern home office holds even more books along with rows of magazine files. Behind the stylish desk chair, base cabinets have a reflective finish. 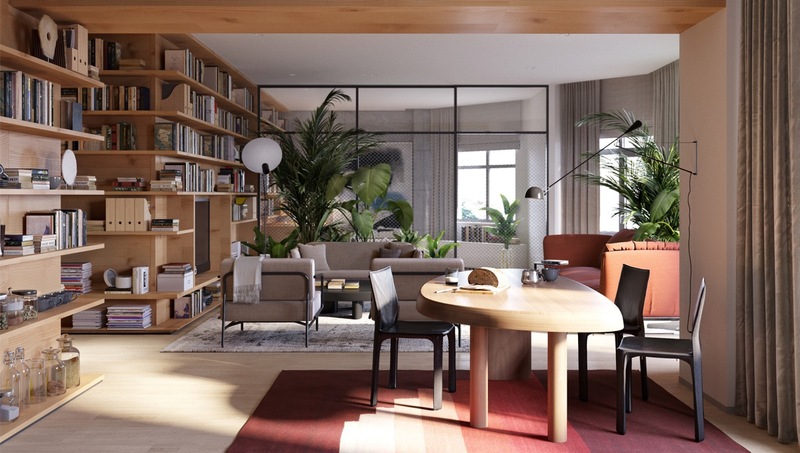 Indoor plants create a lively vista behind a living room sofa. 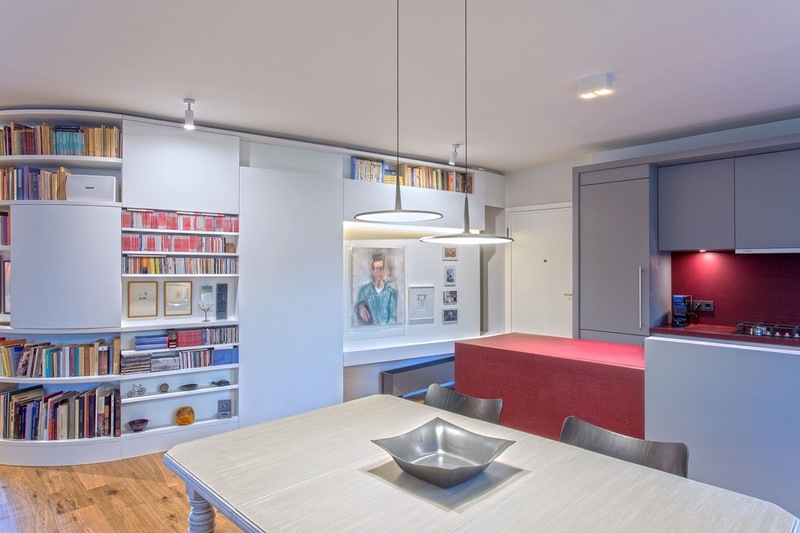 There is even a library within the wall of a sophisticated kitchen diner. 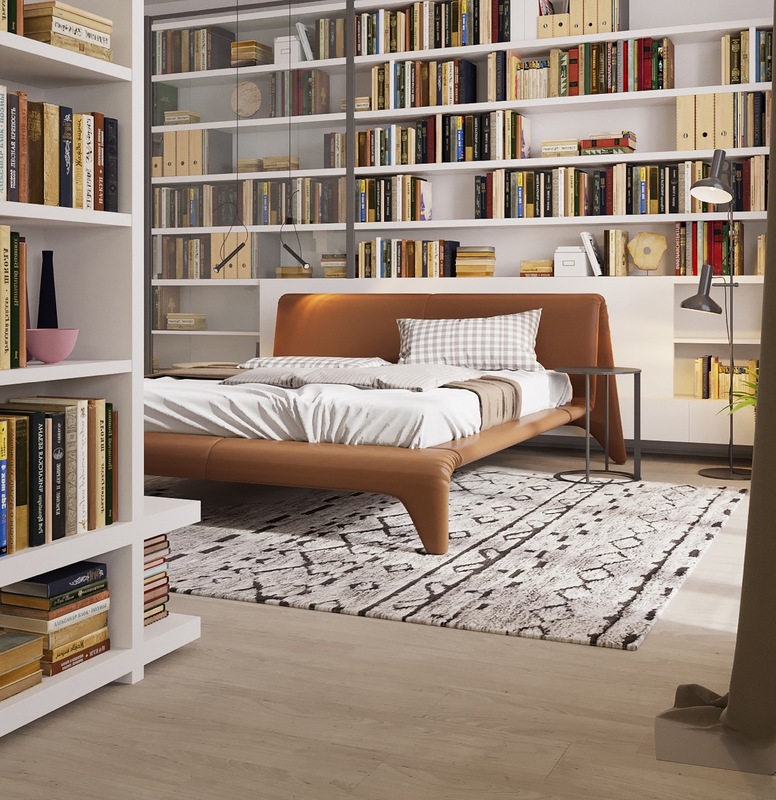 The bedrooms bookshelves span the headboard wall, where a floor lamp provides reading light. Only the bathroom goes unused in the storage of books, although the bathtub is sure to be utilised as a place for a relaxing read. 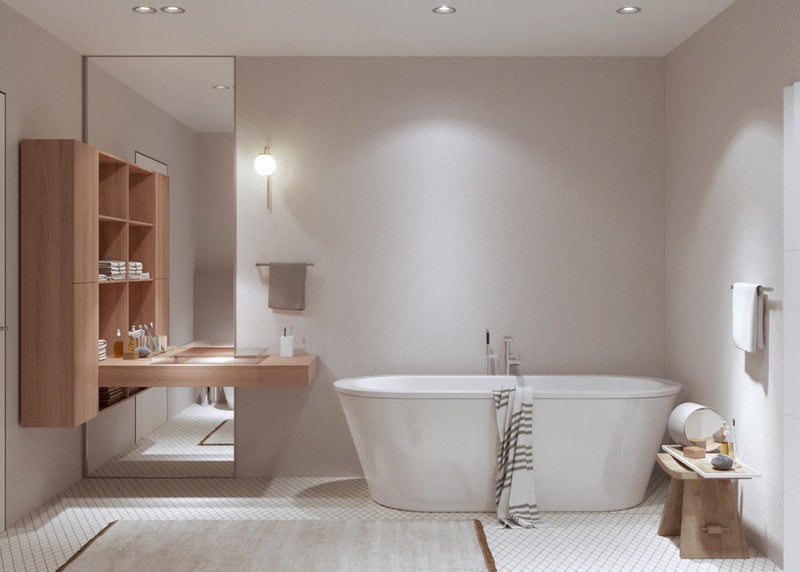 If you’d like to create your own reading sanctuary with a bubble bath, here are some more beautiful bathrooms with bathtubs. 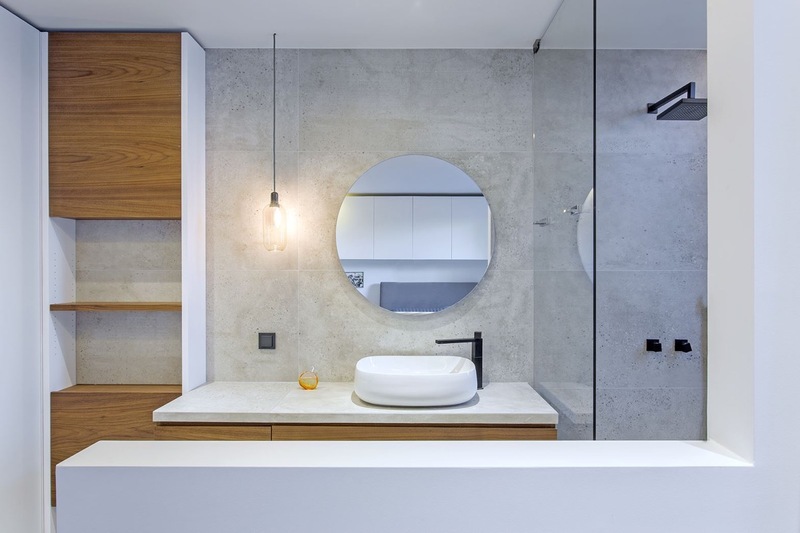 In a second bathroom design, a modern wall sconce lights a modern bathroom vanity. A shower is at the opposite side, along with a rattan laundry basket and planter.